Supergroups are a hit or miss proposition. Often, what sounds good on paper doesn’t deliver in the studio. Fortunately, this is not the case with the highly-anticipated debut release from melodic rock buzz band Revolution Saints. The band is fronted by journeyman Journey drummer Deen Castronovo whose soulful, slightly-raspy vocals are pitch-perfect and unapologetically display the influence he’s absorbed singing those beloved Steve Perry songs behind the kit for years. For those of us who were bummed to hear of guitarist Doug Aldrich’s departure from Whitesnake last year, this album serves as a welcome showcase for his unique, fiery style of playing. In fact, Aldrich’s six-string prowess sounds even more inspired and unchained on this album. At times you’d swear he was possessed by Randy Rhoads as he effortlessly peels off one blistering lead after the next. His rhythmic sense and tone are well-suited for this style of laid back, SoCal rock -- perhaps dating back to his pre-Dio years with Lion. Rounding out the power trio is Night Ranger frontman, Jack Blades who functions primarily as the bassist on this outing, though his trademark vocals are evident on “Turn Back Time” and “Way To The Sun.” Jack’s name isn’t usually thrown around in “bassist of the year” conversations, largely due to the fact that he’s never been an overly showy player. Yet the man has a more important knack for knowing exactly which low-end notes a song needs and doesn’t need to be a hit. It’s served him (and his famous melodies) well for over three decades. Revolution Saints have hit a home run on their first at bat. This album crackles with energy, captured by the meticulous, modern production (and keyboards) of the project’s mastermind and primary songwriter Alessandro Del Vecchio. This collection features a steady balance of top-down summer highway jams (“Turn Back Time”) and ballads (“You’re Not Alone,” “Don’t Walk Away”) that “Faithfully” invoke the sentimentality of Journey. Speaking of Journey, fans of the San Fran legends will find much to love on this platter, including guest appearances by Neal Schon and Arnel Pineda. There’s even a surprising cover by Swedish melodic rock masters Eclipse whose key members appear more than once in the album’s song-writing credits. What more could a fan of hook-heavy hard rock ask for? Okay, maybe a tour to cement the lineup as more than a one time studio dream team. 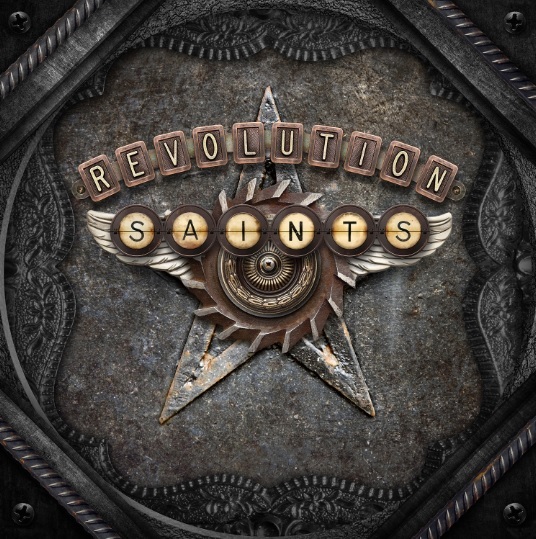 Bottom Line: If you love classic melodic rock but have worn the grooves off of your Journey Escape vinyl, pick up a copy of the self-titled Revolution Saints record.